Burnley manager Brian Laws has been sacked by the Championship club. The 49-year-old took over in January but was unable to keep the Clarets in the Premier League. 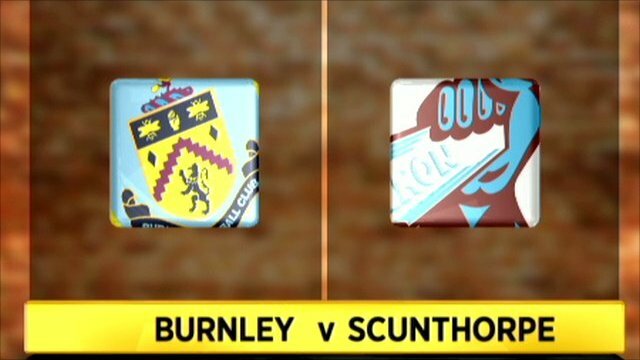 They sit ninth in the table this term and lost 2-0 on Tuesday to his former club Scunthorpe in what proved to be Laws' last game in charge at Turf Moor. Chairman Brian Kilby told the Burnley website: "I have telephoned Brian today and asked him to step down as manager of Burnley Football Club." He added: "Everyone is naturally disappointed and frustrated that recent results have not gone as we would have hoped. "The board of directors has decided that we need a fresh approach in order to achieve our goal of returning to the Premier League." The Clarets have said they will make a statement on Thursday. Former Sheffield Wednesday boss Laws was a Burnley player for four years at the start of his career. 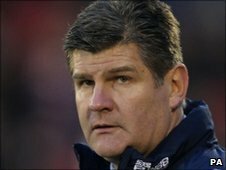 He began his managerial career at Grimsby in 1994 and had 44 games in charge of Burnley, winning 13. He released a statement on Wednesday through the League Managers Association in which he said he was "saddened" and "disappointed" by Burnley's decision. Laws said: "I would like to take this opportunity to wish the club, the management, the players and the supporters all the very best for the future. "I am taking advice from the LMA who will be working to reach an amicable agreement with the football club on my behalf. Accordingly, I will not make any further comment at this stage." Richard Bevan, chief executive of the LMA added: "The LMA shares Brian's disappointment at his leaving the football club and we find the timing of his dismissal very strange in all the circumstances. "The club is only two points off a play-off place with a game in hand. Burnley have the third best home record in what is a really competitive Championship. "They have only lost six games this season and have not suffered back-to-back losses. "Brian is an experienced and successful manager, with over 800 games at every level of the professional game, and I would expect him to be back managing in the game at a high level very soon."